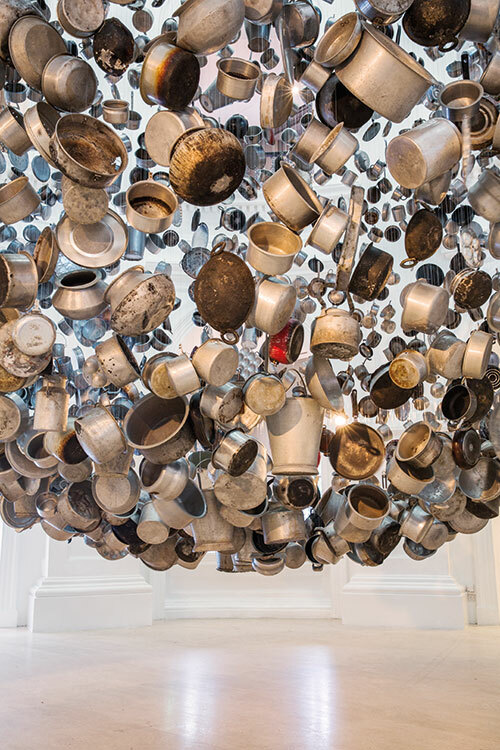 At the Singapore Biennale that opened last October, Subodh Gupta’s opus Cooking The World went on display. Comprising hundreds of inscribed aluminium vessels, the towering sculpture is almost 20 feet in diameter. And it’s safe to assume that he didn’t work on this alone. His studio in Delhi is also home to welders, graphic designers and modellers who provide a helping hand. But viewers must not be mistaken — it’s still the artist’s imagination (and no one else’s) that bears fruit. An artist today is much more than a wielder of brushes. While it is true that many of the greatest Indian creators of our time — from Husain to Raza — made a career as painters, their contemporary counterparts are going a step forward, and paying close attention to making art of a different kind. As creations get bigger, the manpower also increases. British-Indian sculptor Anish Kapoor creates larger-than-life public sculptures in his London studio, with the help of a workforce of around 30 people. Bose Krishnamachari and Sudarshan Shetty have ateliers where technicians and assistants help put their works together. In November 2016 in Mumbai, Shetty unveiled a work commissioned by the Rolls-Royce Art Programme. A two-channel video anchored by two structures, A Song A Story is an amalgam of architecture, cinema, sculpture, folklore and performance. 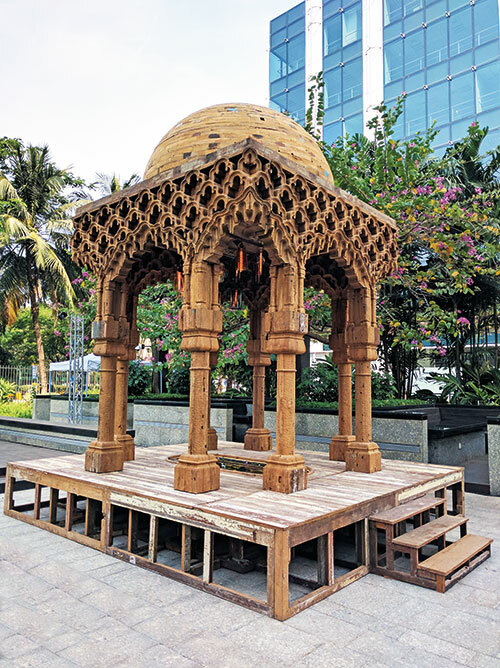 Says Shetty, “Six craftsmen worked on the wooden installations for around eight months; each piece of wood was part of another structure and tells its own story. It’s not very fashionable to bring crafts to the art world, but I like working with craftspersons, and think it adds a lot of value to my work.” Artists today aren’t limited to one role. They’re architects, inventors, engineers, directors and sculptors all rolled into one, and the brush, one can say, is supplemented by the baton. Of course, their relationship with their creations are still quite private. Most prefer to be in isolation while developing their works, sometimes without any distractions (or visitors) whatsoever. As creations become more technical and elaborate, the need to collaborate and regularly communicate with engineers and vendors has grown. This isn’t new though — bottegas or workshops were common in the Renaissance era. But can you imagine Kapoor working on Chicago’s Cloud Gate all by himself? Though the design and drawings were Kapoor’s, the pièce de résistance of Millennium Park in USA’s Windy City — that’s made of 168 stainless steel plates welded together in a bean-shaped monolith — was put together by an American company. “Most workers are not part of the creative process but solution providers for works that may require engineering or technical inputs. Even when an artist uses a computer, it is he who imagines and creates the work of art, and may be assisted by those who help with its execution,” says Kishore Singh, art critic and president of DAG Modern. Clay modellers, welders, graphic designers and weavers are guided towards the end goal. One could say this is because artists are looking to broaden their horizons, and explore areas they haven’t touched upon before. “Technique and idea work hand in hand in the creation of artistic masterpieces. I think the evolution of the studio to include technicians is simply an artist’s way to widen their ability to work in a variety of media,” believes Hena Kapadia, founder and gallery director of Tarq in Mumbai. As Singh says, “a studio is a place of endless possibilities…. The artist is a creator who influences the way we look at things around us — whether aesthetic, political, social or otherwise”. It is these very possibilities the artist turns into that which you find inside and outside gallery walls.